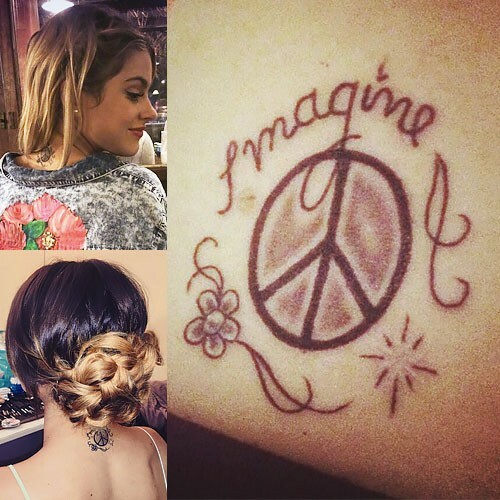 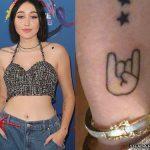 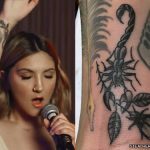 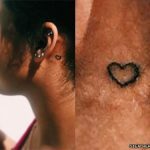 In April 2014, Martina Stoessel visited artist Mariano Antonio at American Tattoo in Buenos Aires, where she got this tattoo on the back of her neck. 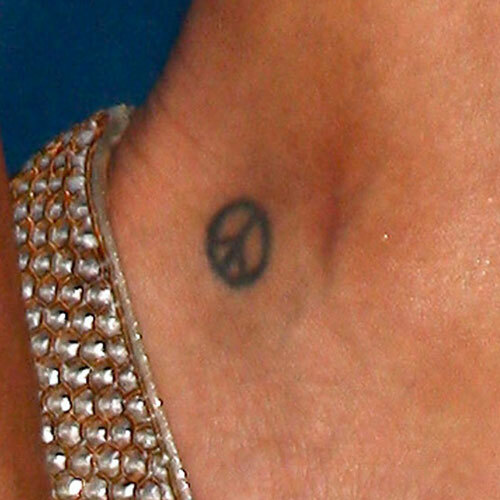 It is a peace sign with the word “Imagine” and a little flower. 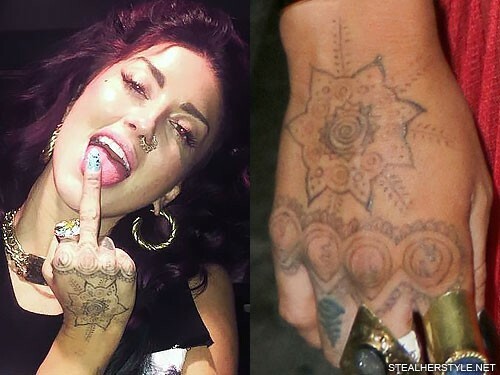 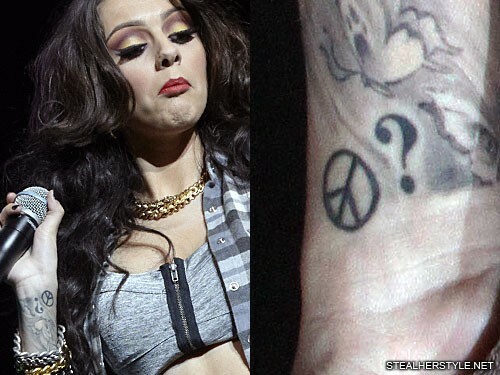 Cher Lloyd got the question mark tattoo on her wrist in January 2011 and the peace sign shortly after in March 2011. 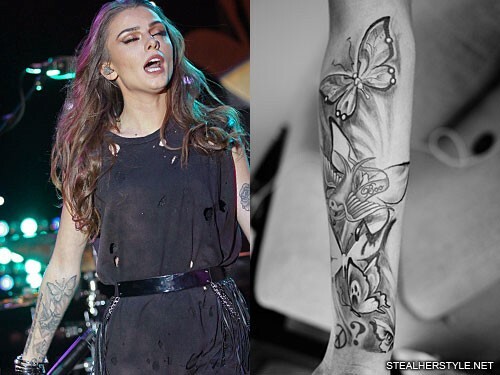 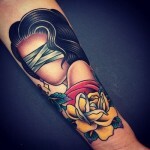 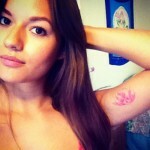 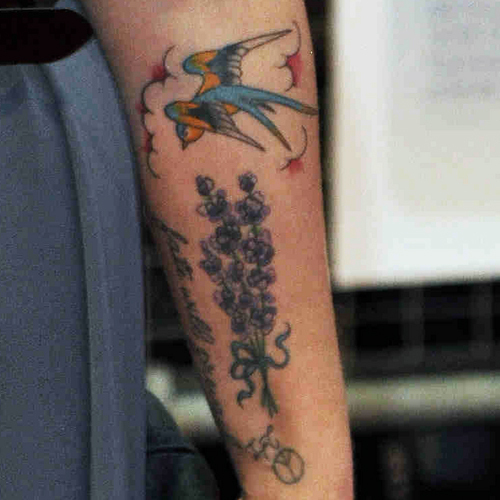 She filled in her arm with a butterfly partial-sleeve in May 2011. 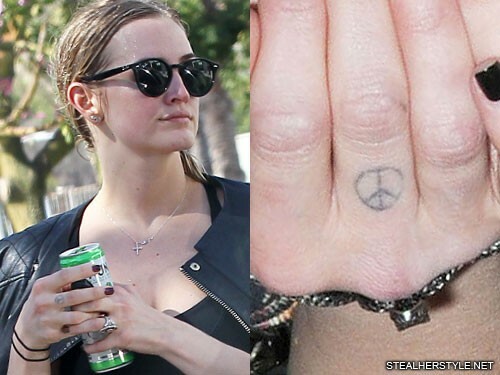 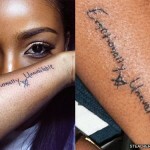 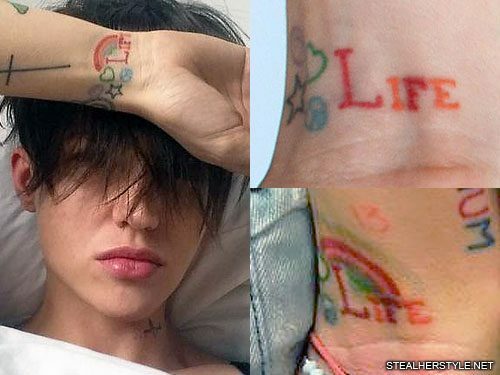 She also added her husband Craig’s name in May 2012, after these photos was taken.